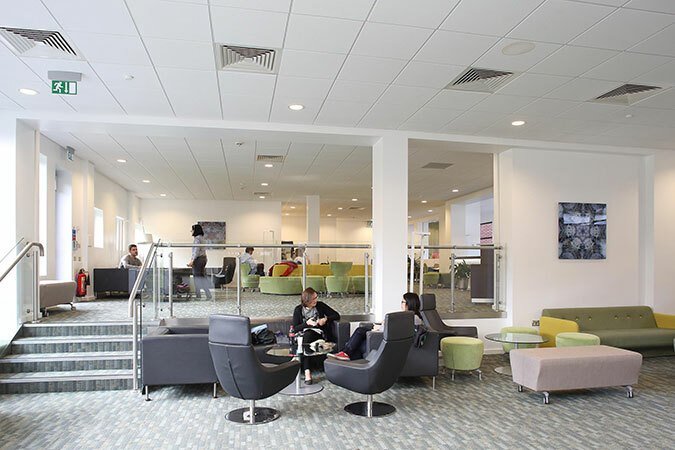 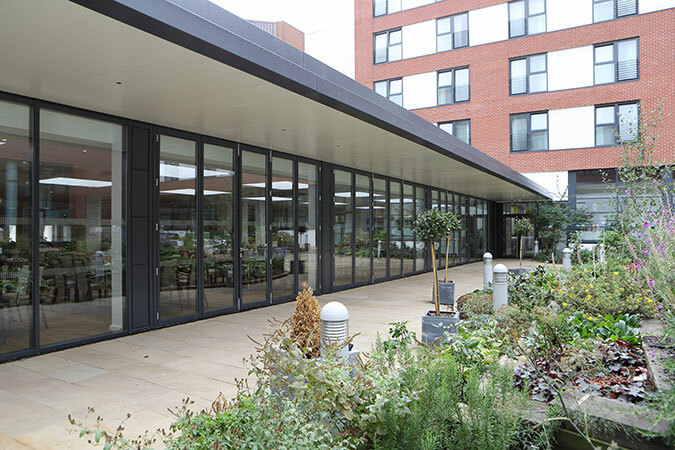 Following the success of the Woodcock Sports Centre extension and the specialist Brain Centre new build extension for Aston University, Speller Metcalfe was contracted to refurbish and extend the University conference facilities. 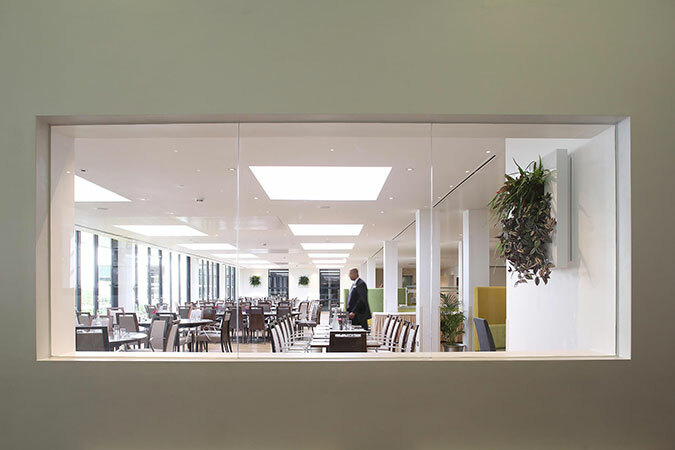 The Courtyard Restaurant has been completely renovated with a brand new restaurant extension, alongside a brand new glass façade to the restaurant fully retract for al fresco dining. 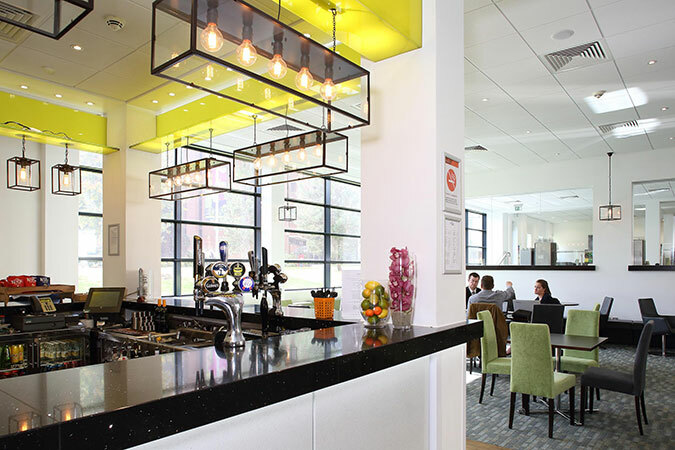 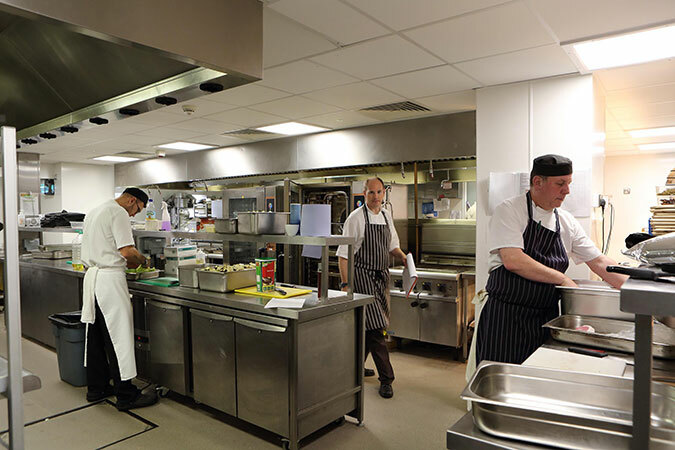 The catering kitchens have been refurbished along with a new bar in the current lower lounge remodelled into a dedicated residents’ bar; the Lounge has been expanded to offer a brand new upper lounge area with a dedicated event support suite and a brand.